It doesn't take a lot to frighten me; though I'm much better than I used to be. 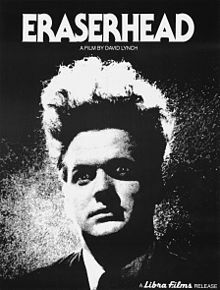 I remember trying to watch Eraserhead on my own and not being able to get past the opening credits. Seriously. The first house I ever owned had a basement cellar. Did I ever go down there? What do you think? And don't get me started on horror films where hands come out of graves. Ever wondered why I went grey so early? So how come then I'm currently wading through Season 1 of American Horror Story on Netflix? That is a very good question. Firstly it comes highly recommended. Secondly, it doesn't take itself too seriously: they shoehorn every conceivable trick from the horror repertoire into each and every episode, thus making it more Carry On than Carrie. I absolutely love it. But, back to things that truly frighten me. I still can't listen to Here in the Hole by Barry Adamson without clutching at my invisible rosary beads and offering up a silent prayer; it scares the living crap out of me (that's right, I don't play it very often). I recently found a Youtube mix of it where it segues into Sonny Boy Williamson's Help Me. It's the kind of light relief you need after putting yourself through Adamson's emotional wringer. "You see, that's the way the world is"